In the last post I discussed dragons size as related to their color which can be seen here. But size is not the only thing that is different based on color. Their personalities, habitats and their favorite treasure is influenced by their color. Dragons can be divided into two groups: Chromatic dragons and Metallic dragons. Today I will talk about two of the Chromatic dragons leaving the remaining to explore over the next few days. One thing I wanted to clear up from my previous post: You may have noticed that with some dragons I referred to them as she or he. It was not meant to be interpreted as meaning that there was only that gender in a particular color. Each color has both genders and the designation within my description was only for my convenience. So all colors are able to mate and reproduce within their color designation. Now on to today's post: Chromatic Dragons: Included in the Chromatic Dragons are black, blue, green, red and white. Each of these colored dragons have distinct personalities and habitats. 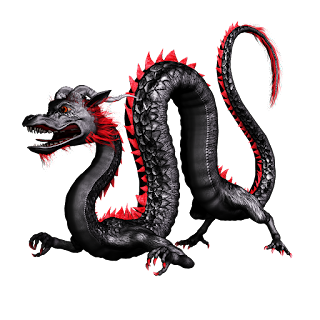 Black Dragons: These creatures tend to be foul-tempered dragons. They are evil, mean and extremely cunning. They have no natural enemies and will attack and usually kill anything that crosses their path. You would be well advised not to cross their path. They usually fight for their mates. The females do most of the fighting, flying great distances in search of a mate and then fighting to impress him. After eggs are laid near the males lair and he is left to guard the young. The black dragons are very protective of their young, but give the offspring little support except for an occasional piece of advice. As the offspring get older they will be advised to leave the lair or be eaten. Their lairs are generally found in boggy swamps, but will can be found anywhere water and dense vegetation are together. Lairs are made in large, damp caves or multi-chambered submerged caverns. There is a submerged entrance and a land entrance which are usually hidden by dense plant growth. The black dragons favorite treasure is coins. They will harass humans to find stashes of coins and then kill them. 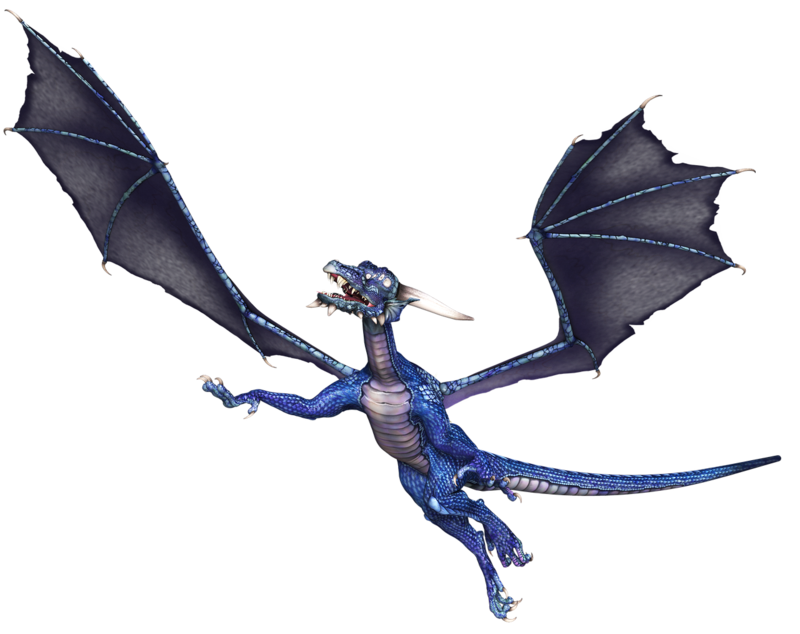 Blue Dragons: Blue dragons are much friendlier, talkative and outgoing than their black counterparts. Although they will serve the causes of Darkness just as willingly They are also very territorial and vain. Lairs are usually found in the desert or dry steppes. They have vast underground caverns, the grander the better. These are often found at the base of cliffs where windblown sand has accumulated. The dragon will burrow through the sand to reach the caves below. They don't keep the entrances clear of sand but burrow to get in or out, and in fact may bury their entrances while they sleep or leave to scout their territory. They love to fly especially at the hottest part of the day and because of their color they blend in with the sky and can be hard to spot. 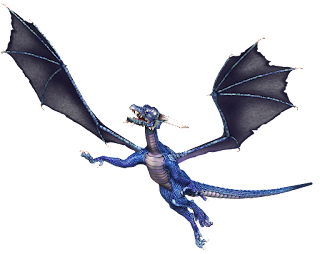 Blue dragons have elaborate courtship and mating rituals involving exchanges of food and treasure. Older dragons may have multiple mates over the course of their lives, but infidelity is rare. As parents they are attentive to their young and do not leave the eggs unguarded. Blue dragons love gems especially sapphires and think of caravans as a handy place to collect them. 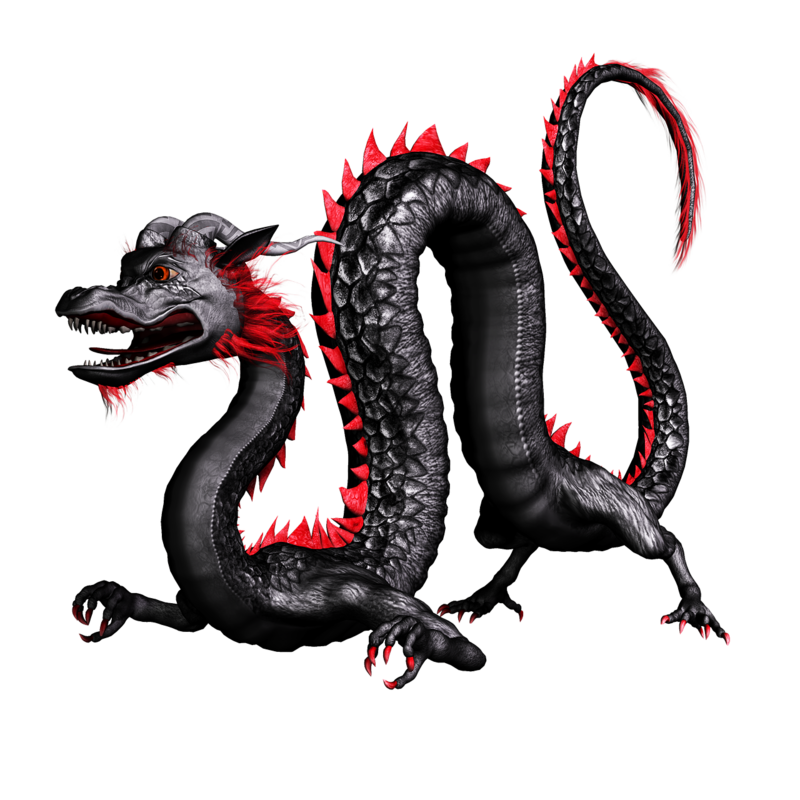 In my next post we will take a look at Green dragons, Red Dragons, and White Dragons. Visit us and take a guess as to when we will pass 200000 views and win a prize for the closest guess. 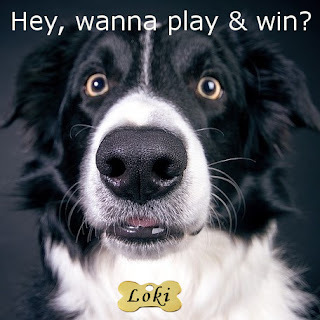 Loki, our mascot, is very eager to see people entering the guessing game because every time a new person follows our blog, he gets a super-tasty treat. The Author Gang formed a year ago and our mission is to support Indie authors and each other. We post something interesting, useful or fun every day, and we have guest authors on weekends. More fantastic information about dragons! Thank you Chris! I can't wait to read your next dragon post, Chris. I find this information facinating. Thank you. 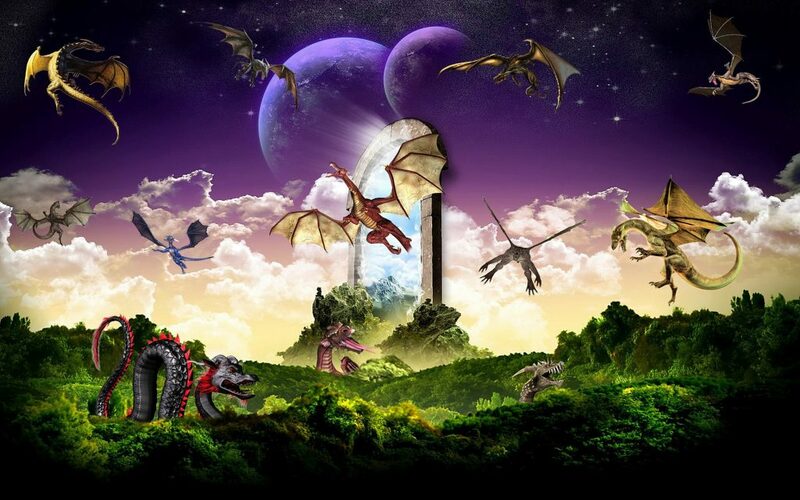 Today on #OurAuthorGang, Chris Weigand tells us more about the habitats, breeds, and favorite treasures of dragons . . . all kinds of dragons! This is great stuff, Chris! So cool to learn about different breeds of dragons and their culture. Thank you. Glad I could share a little bit of info about some of my favorite things. This post series is great! You have an extensive knowledge of dragons! Thank you. I really enjoy learning about them. Very interesting Chris. I love how each type of dragon has their own characteristics. So interesting. I'll steer clear of the black ones. Today, author Christina Weigand brings us another in her series about dragons. It's been a very informative, enjoyable experience. Thanks so much! More about dragons with Christina Weigand. I'm really enjoying this series. I love the complexity of these dragons. Great post. Thank you. Their complexity is one of the things that fascinate me. I'm learning more about dragons thanks to you, Chris. It's all very interesting! I love that the female black dragons to the fighting. Rock on! Yeah I thought that was pretty cool. Score one for girl power. +Chris Weigand Absolutely! Here's to Power Women! I am really enjoying your series on dragons! So interesting! !